Decided to step away from the weekly challenge for a day as there is so much evidence of a beautiful Spring all around us at the moment. I found this, and so many others like it, whilst wandering around the grounds and gardens at Dudmaston Hall at the weekend. 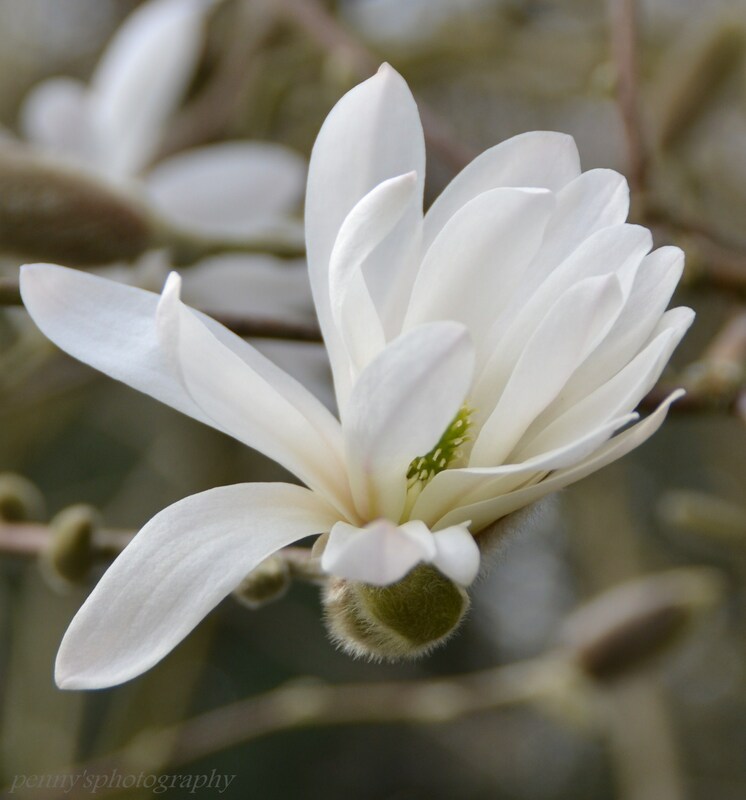 I think it’s Magnolia Stellata…. but, as much as I love gardening and gardens, I’m no expert – so feel free to correct me! I’m quite pleased with the way this shot turned out after cropping, and amazed by the definition of the hairs on the open bud case. It makes me realise that my camera is capable of so much more than I currently use it for! This is so beautiful. Magnolia trees in blossom are my favourite. The detail is stunning. Thank you. When I have my own garden again I intend to plant a magnolia tree, then I will be able to take photoraphs of it every day to record it’s gradual unfurling.